Sources in the Ministry of External affairs, on 2 May, rejected the Italian foreign minister's statement that the UN arbitration court has asked India to release an Italian marine - accused of killing fishermen off the coast of Kerala four years ago. 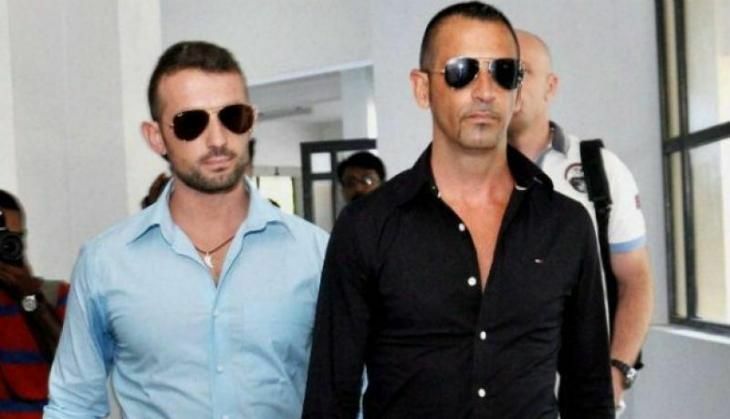 An international news agency quoted the Italian foreign minister as saying that the UN arbitration court has ruled that India should allow Salvatore Girone, one of the two Italian marines accused of the crime, to return home. Completely rejecting the claim, MEA sources said that Italy was misrepresentating the Tribunal order. The sources also added that the Tribunal order affirmed Supreme Court of India's authority on the case and clearly recognised that "Girone is under India's authority alone". The Tribunal asked Italy to approach Supreme Court for relaxation of bail conditions for Girone. Sources in the Ministry said that the Order neither releases nor frees any Marine. It only recommends further relaxation of bail conditions of one Italian Marine (Girone) to be considered and decided upon by the Indian Supreme Court. Girone is already on bail on Orders of the Supreme Court. The order further states that India must be assured, unequivocally and with legally binding effect, that Sergeant Girone will return to India in case the Arbitral Tribunal finds that India has jurisdiction over him in respect of the Enrica Lexie incident". Italy has already given multiple undertakings to this effect, according to sources.